The next time you go to the grocery store pick up some puff pastry. 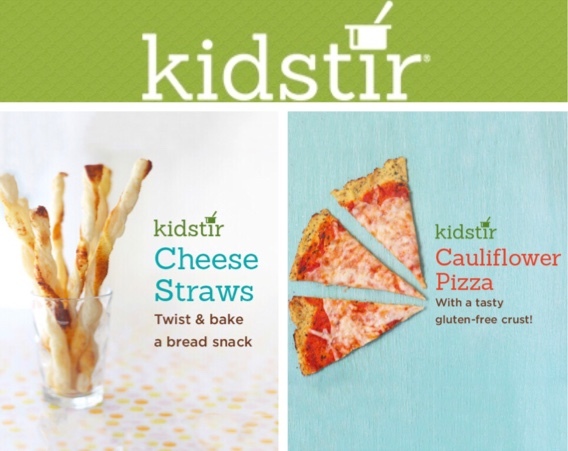 For a kitchen activity let the kids play with real dough to make cheesy bread sticks. Sprinkle on a little Parmesan cheese and enjoy! 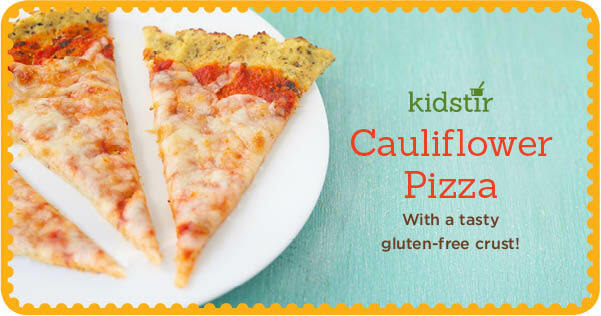 Skip the traditional pizza crust and try this cauliflower crust instead. It’s gluten-free and a great way to eat up your veggies! Happy Earth Day! 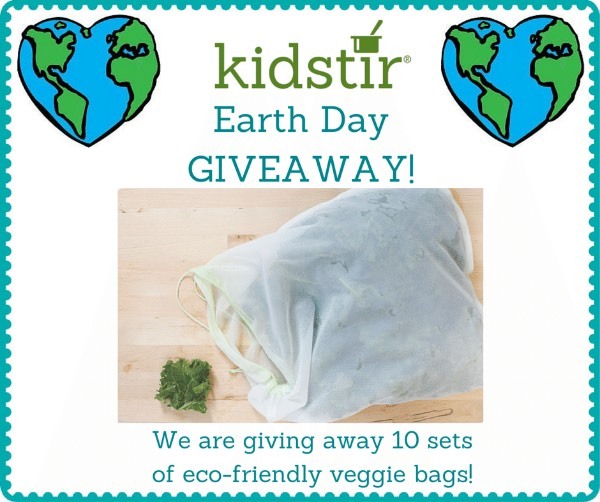 We are celebrating by giving you the chance to win one of 10 three packs of our eco-friendly veggie bags. You can fill these bags with all kinds of foods, such as fruits (apples or oranges) veggies (broccoli, lettuce, spinach) and goodies from the dry bin area (beans, grains and nuts). Wash, soak, and rinse your fruits and veggies right in the bags. Use the bags as a strainer for soups or blended drinks. When you’re done, wash in the sink or washing machine and just hang to dry. Enter the giveaway via our Facebook page – 10 winners will be announced Monday, April 25 at 3 pm PT. Good luck!